I love fresh methi or fenugreek leaves for the slight bitterness they add to any dish. Each time I go to Little India, I scout around for a bunch. They are not very easy to find so when I do get them, I wrack my brain on what to make with it. 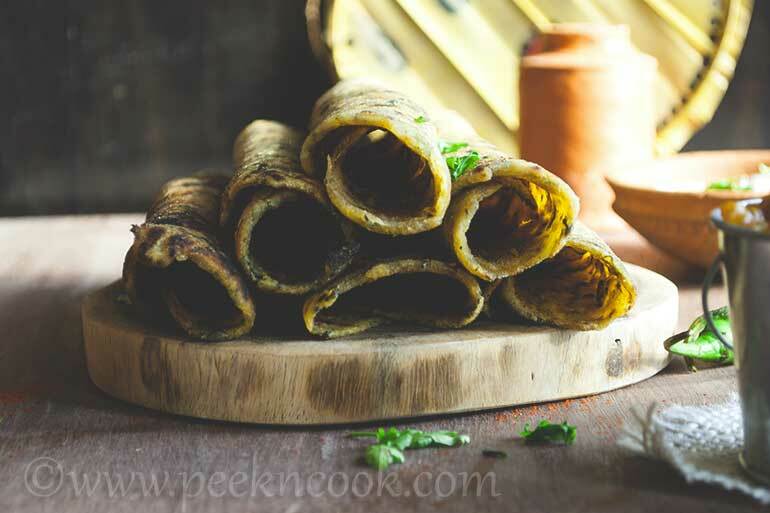 Chopped Methi leaves and some other spices are mixed with Maida, make a dough and roll them into Parathas and cook on Hot Tawa. Chopped Methi leaves and some other spices are mixed with Maida, make a dough and roll them into Parathas and cook on Hot Tawa. Heat oil in a pan and add cumin seeds and chopped chili. Add grated garlic and fry for a while. Before the garlic get brown add the chopped onion and fry till onions are light brown. Add chopped methi leaves, coriander powder, turmeric powder, amchur powder and salt and fry for 10 minutes. Now let the methi mixture cool . Now take maida in a bowl and add salt & vegetable oil and mix it. Add the methi mixture and mix with maida and make a soft dough and keep it for 15 minutes. After 15 minutes make 5 equal balls from the dough and roll one by one . Heat a tawa or frying pan and fry paranthas one by one with some oil and serve hot with achar and dahi.